Shopify and WooCommerce: Which is Better? Are you contemplating on putting up an online store? Then you should start thinking about your e-commerce platform. There are two popular options available now—Shopify and WooCommerce. But which platform wins in the Shopify and WooCommerce battle? Shopify is a powerful e-commerce platform that makes it easy for users to put up an online store, manage inventory, and accept payments. On the other hand, WooCommerce is a WordPress plugin that lets users customize their stores. Now let’s dig deeper into the pros and cons of both e-commerce platforms. Cost will always be a consideration for anyone thinking of starting an online store. With Shopify, you will have to pay a monthly fee of $29 for its basic plan. You can also upgrade to the Shopify plan ($79) and Advanced Shopify ($299). But these prices don’t include addons and third-party tools that you may need to take your store to the next level. On the other hand, WooCommerce is freely available on WordPress. You need to get a domain name and WordPress hosting account to put up your store. Domain name is about $15 while web hosting is around $8 a month. Another cost is SSL certificate which is about $70. So simply put, you’ll still have to shell out money if you are to go with WooCommerce. Shopify is fully hosted. This means there is no need to download, install, update, or manage software. There is also no need to be concerned about compatibility and security issues. It also has a user-friendly interface. Unlike Shopify, WooCommerce is not hosted. It means you’ll have to install the plugin, manage updates, ensure security, and keep backups. It also lacks an intuitive interface that Shopify has. Both Shopify and WooCommerce are scalable. In Shopify, you can simply upgrade your plan once your online store starts growing. In WooComerce, you can opt for a managed WordPress hosting to scale your online store. However, Shopify provides a more hassle-free solution for scaling your site. 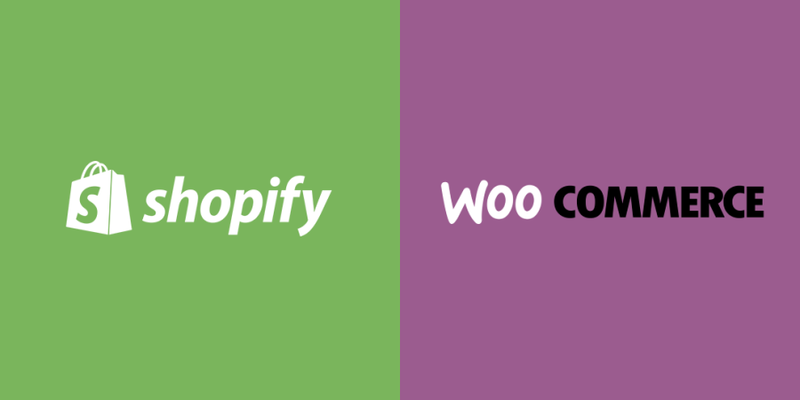 Shopify and WooCommerce : Which is Better? It is really up to your needs. If you want an easy to use platform and willing to pay the costs, then Shopify is the one for you. WooCommerce may not be free but putting up an online store using it is still cheaper. It also gives you more control of your online store.